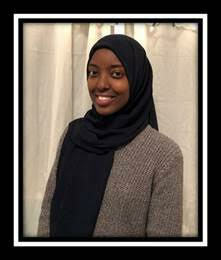 Urban Alliance recognized our own Aisha Ali this week. Aisha interns at Qualcomm® Thinkabit Lab™ at Virginia Tech under the leadership of her mentor, Dr. Jim Egenrieder. Aisha’s mentor stated that she has emerged as a leader at Virginia Tech Lab. She is modest, but uncommonly thoughtful, intuitive, and competent in everything she tries. The Thinkabit Lab setting is admittedly more like graduate school or a tech startup than perhaps a traditional work place, but her mentor stated that she can thrive anywhere.